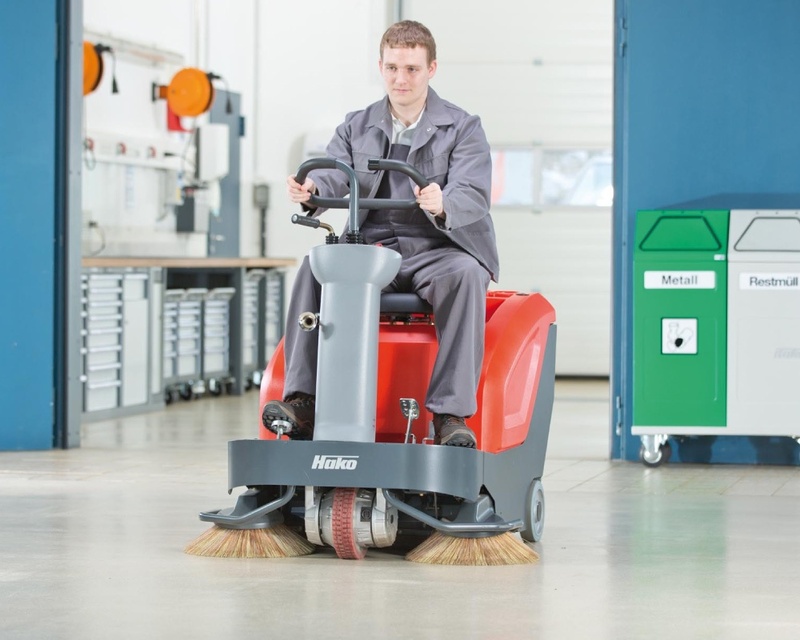 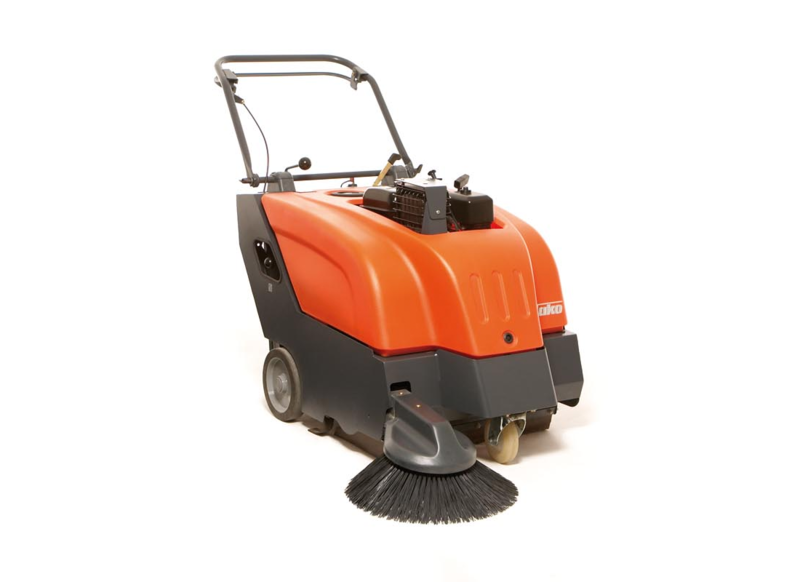 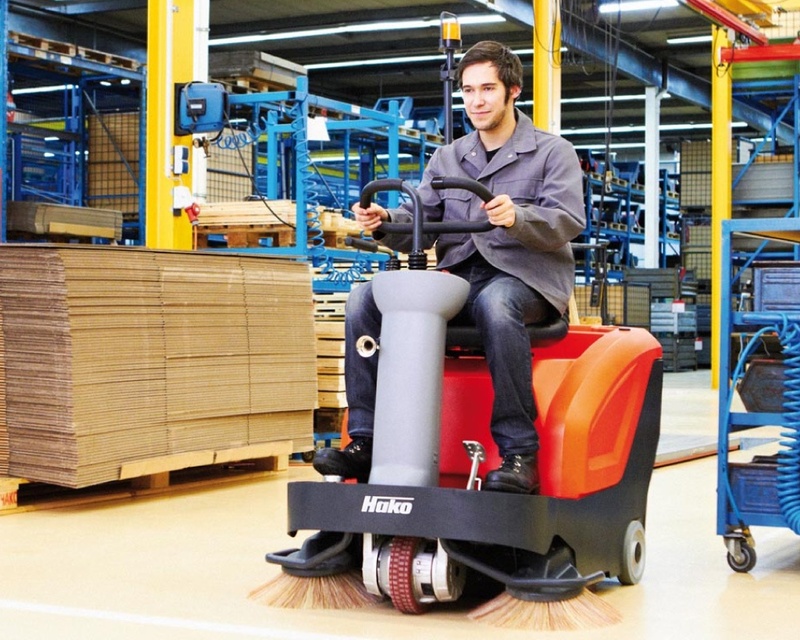 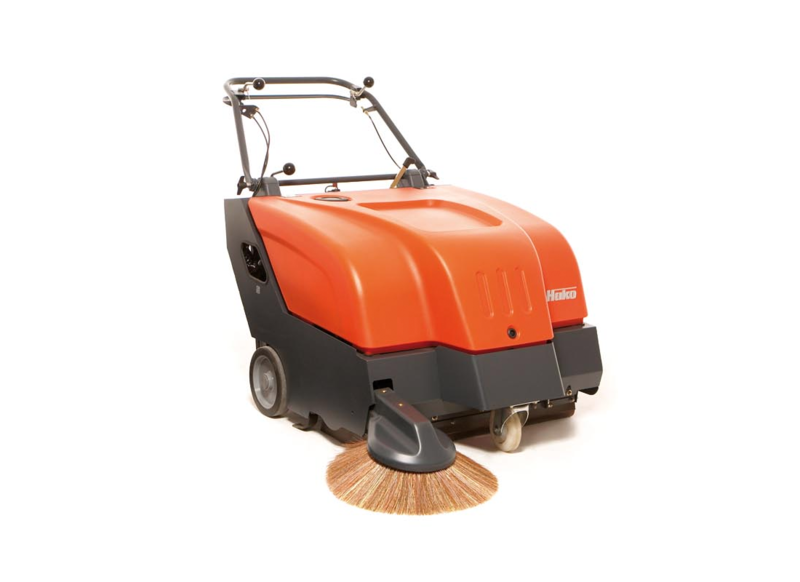 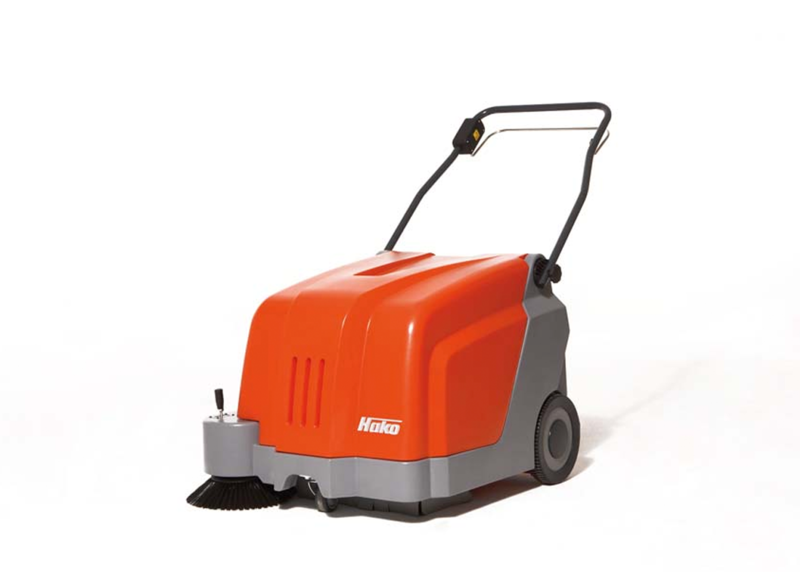 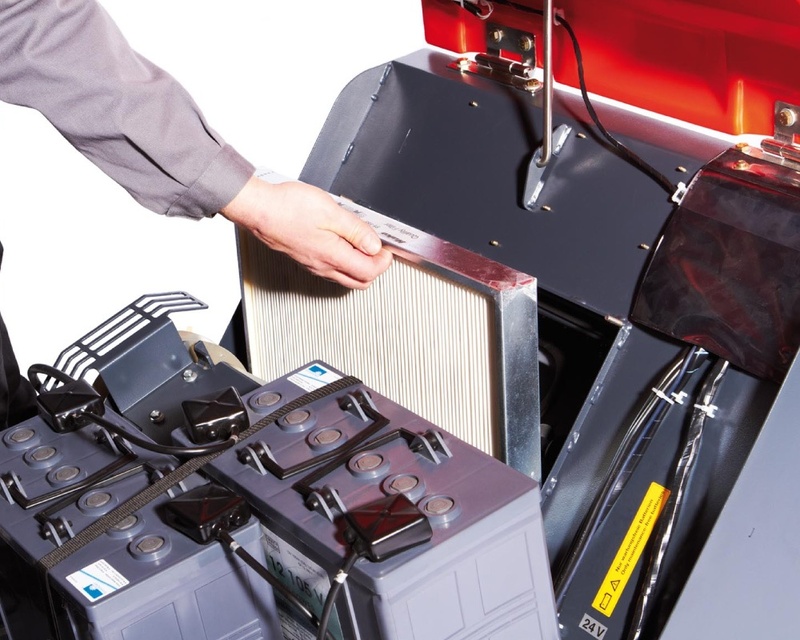 The Sweepmaster B800 R has a working width of 890mm with a right-hand side broom as standard. The working width can be increased up to 1,110mm with an additional left-hand side broom. 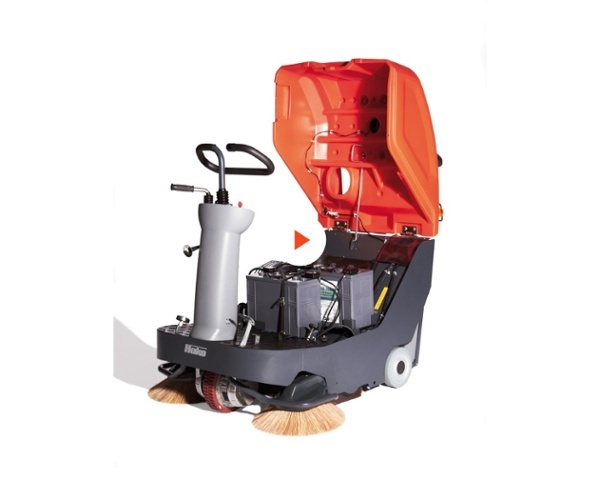 The side brooms are designed to sweep up dirt over the entire main sweeping width even when taking sharp corners. 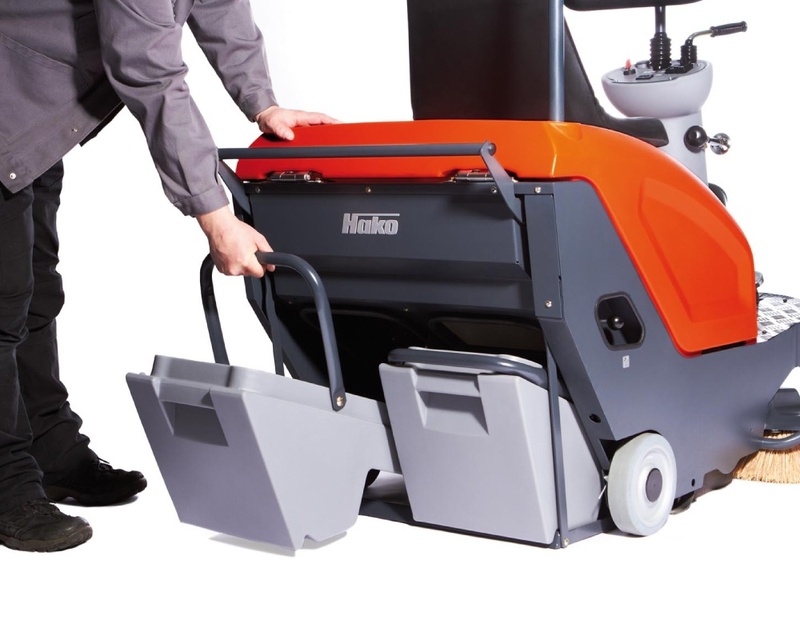 Hako Australia extends its ride-on sweeper range with the launch of Sweepmaster B800 R; a zero-emission, battery powered sweeping machine which combines the compact size of a walk-behind sweeper with the convenience of a ride-on machine.